Clinics - De website van rs-dh! Ron gives clinics all over the world, he travels within The Netherlands but also in Germany, The United Kingdom, Sweden and The United States. 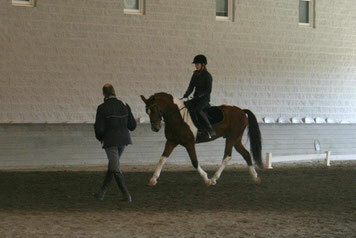 Ron during a clinic, working with a young dressage horse. 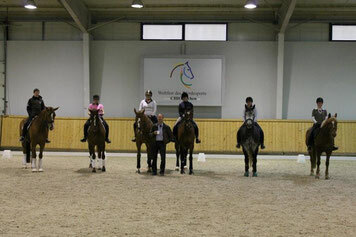 Ron on the picture with one of his groups during a clinic.